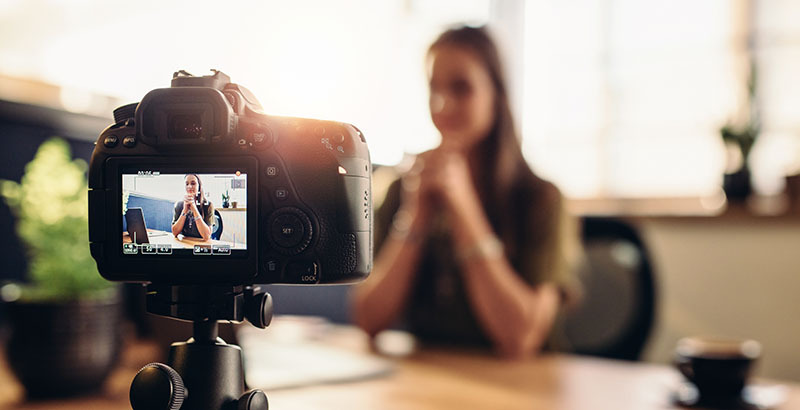 Families are being invited to share their experiences with school choice — and win cash prizes — in a nationwide video contest launching this week. Sponsored by the Foundation for Excellence in Education and other national nonprofits, the competition is seeking two-minute videos featuring students, parents, or other family members talking about how educational choices are making a difference in their lives. The goal of the Choices in Education contest is to amplify the voices of students and families, who are “the real experts on choice,” said ExcelinEd CEO Patricia Levesque. “People just really don’t know … what kind of choice is out there in education,” she said, adding that the videos will be a tool for educating the public about how choice helps individual children and families. Videos may be submitted from Oct. 25 through Dec. 1. After an initial vetting, ExcelinEd will share the videos online so viewers can vote for their favorite. Judges from participating organizations will also help choose the winners. ExcelinEd will promote the videos on social media and work with some contestants to share their stories with their communities. Topics for submissions are “How educational choice made a difference in my life” and “Why I need access to educational choice options.” Videos can be about any kind of school choice, including open-enrollment district schools, charter schools, magnet programs, virtual/blended programs, private schools, and homeschooling. Three grand prize winners will earn $15,000, three runners-up will receive $5,000, and two people’s choice winners will get $5,000 each. The awards will be announced during National School Choice Week in January. Participating organizations include AFC, Agudath Israel, Classical Conversations, DFER, CER, EdChoice, Blended and Online Learning, National Alliance for Public Charters, School Choice Week, and State Policy Network. The project is supported with funding from the Walton Family Foundation. Disclosure: The Walton Family Foundation, Bill & Melinda Gates Foundation, The Eli and Edythe Broad Foundation, Triad Foundation, Doris & Donald Fisher Fund, William E. Simon Foundation, and Bloomberg Philanthropies have provided funding to both the Excellence in Education Foundation and The 74.